Every year at Christmas our family friends serve these amazing meatballs as an appetizer at their annual holiday party. It’s one of my favorite food traditions, and I was thinking about how delicious they were recently. 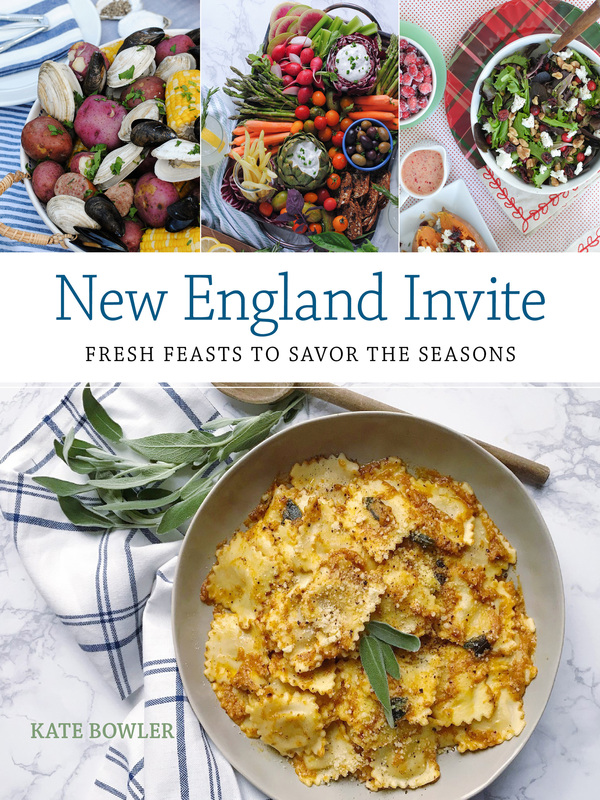 I got the idea in my head to rethink the flavors in this tasty appetizer and give them a warm-weather spin to serve at summer parties. 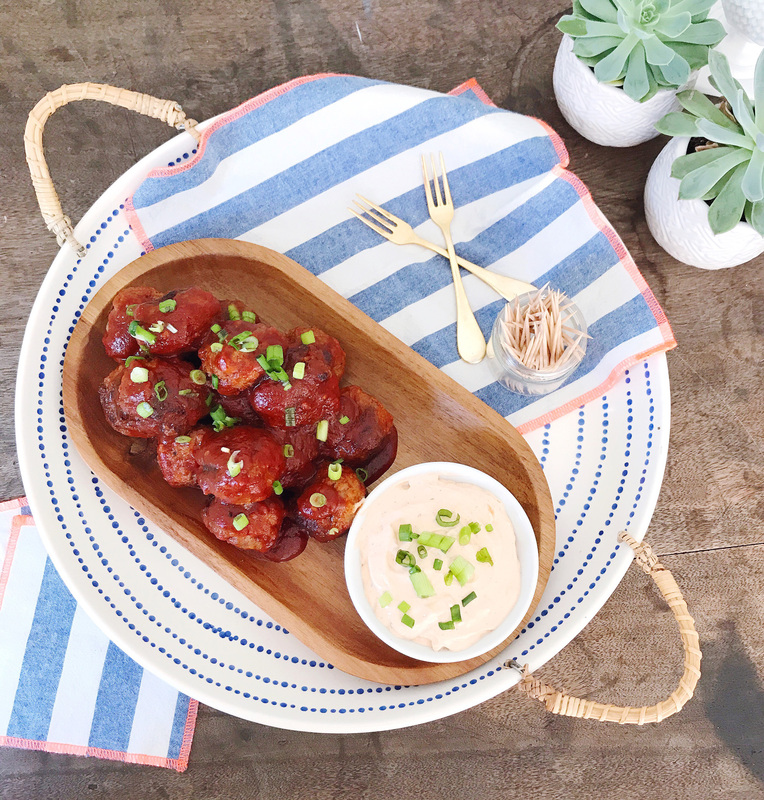 We’re huge fans of spicy food at my house, and drizzle hot sauce on just about anything we can get our hands on, and adding some heat to a meatball appetizer seemed like just the perfect idea. I seasoned the meatball mixture with ginger, garlic, soy sauce and sriracha for Asian-inspired flavors and that kick I was looking for. 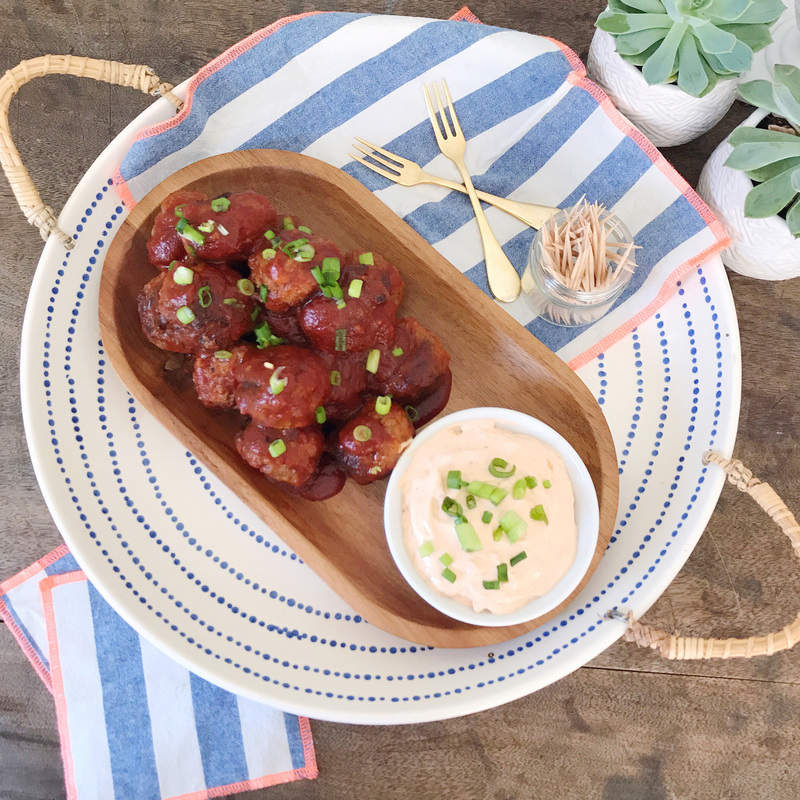 After the meatballs were cooked, I glazed them with a sweet and spicy sauce with flavors from orange juice, honey, tomato paste and sauce, and a bit spicier sriracha. 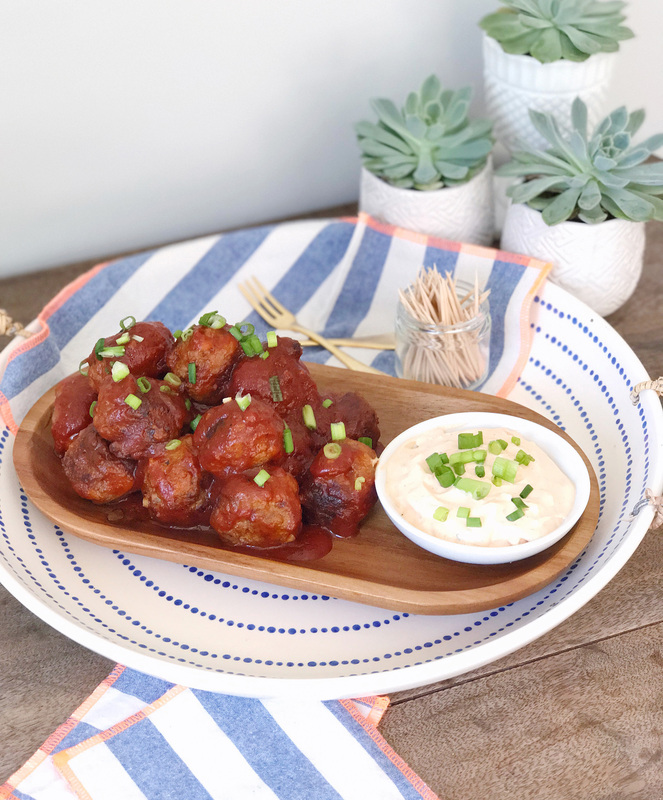 You could definitely modify this recipe to have a little bit less kick by reducing the hot sauce in both the meatballs and the sauce, but the heat is the best part in my opinion! To serve the meatballs, I tossed them with some extra sauce, garnished them with lots of fresh chopped scallions (try some toasted sesame seeds too!) and served them with Heluva Good! Bodacious Onion Dip. This dip is delicious; I have a serious weak spot for onion dips and this one is no exception. I joke with my friends that chips/carrots/meatballs are all just a vehicle for what I really want: the dip. 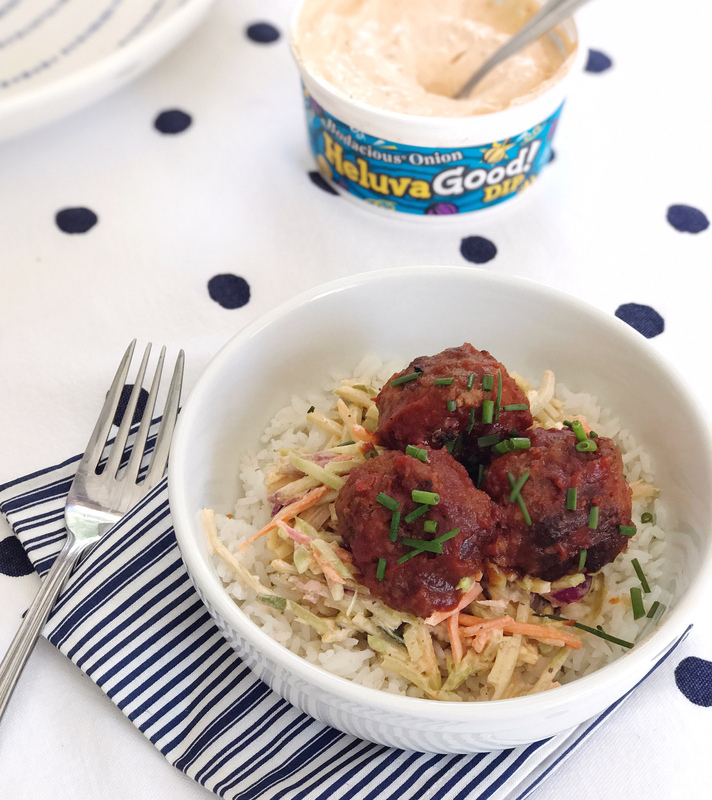 This particular dip flavor has just a little kick to it, like the meatballs, but still has that cool taste from the real sour cream to balance out the spice. The nice thing about this recipe is you can make everything in advance and reheat them quickly on the stovetop before serving them, and they taste great even when they’re not piping hot (it helps grab a bit more dip when they’ve cooled down too). They make awesome leftovers too! I’ve served them over rice with a little bit of spicy coleslaw (in fact, you can use a bit of the Bodacious Onion dip with the slaw mixture instead of sour cream and mayonnaise for extra bold flavor – a creative way to use tasty dip!). Okay, I’m drooling looking at these pictures and think it’s time to dig in, time for a spicy snack! 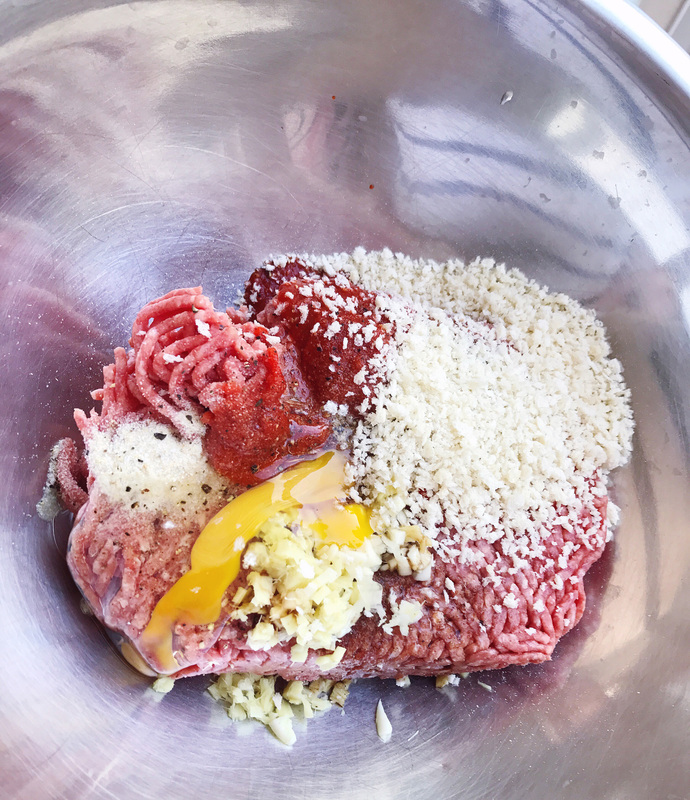 Combine beef, breadcrumbs, egg, garlic, ginger, soy sauce, sriracha, onion powder in a bowl and combine with your hands. Roll mixture into 12-14 small meatballs, season with salt and pepper. Warm a drizzle of olive oil over medium heat in a large pan, add the meatballs to brown. 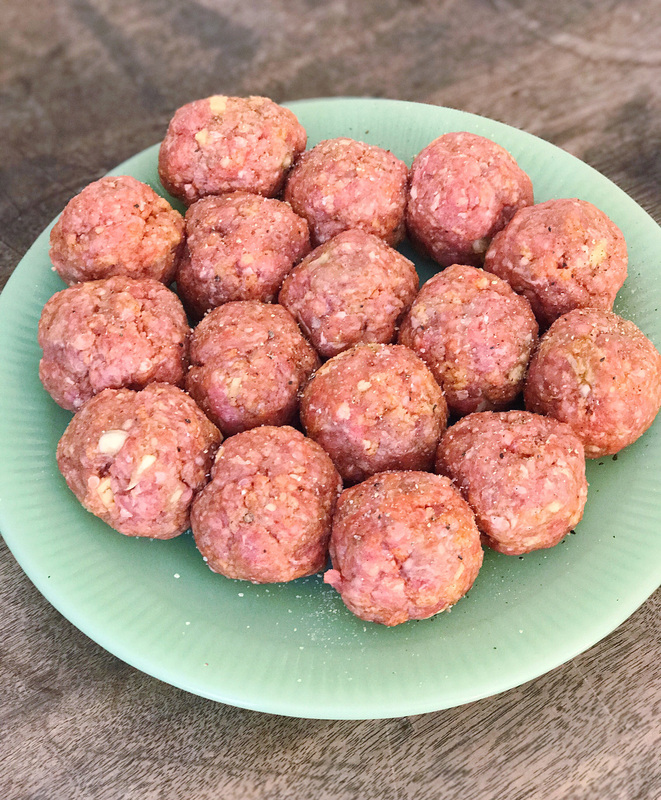 Cook meatballs for 10-12 minutes, until cooked through. Remove from pan and drain excess oil. In the same pan, combine orange juice, tomato sauce, tomato paste, honey, sriracha, and soy sauce over medium heat. Stir mixture often and heat until reduced by about one-third. Add meatballs back to pan and coat with sauce, heating for 2-3 minutes until sauce sticks to the meatballs. Serve with extra sauce, fresh chopped scallions, and Heluva Good Bodacious Onion Dip. 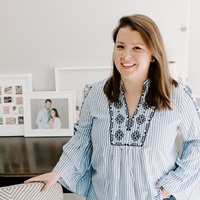 Please note: This post was created in partnership with Heluva Good! Dips; Check out the dairy aisle at your local super-market to pick up Heluva Good! Dips today. All opinions, images, and content are my own. Thank you for supporting brands that support this site! 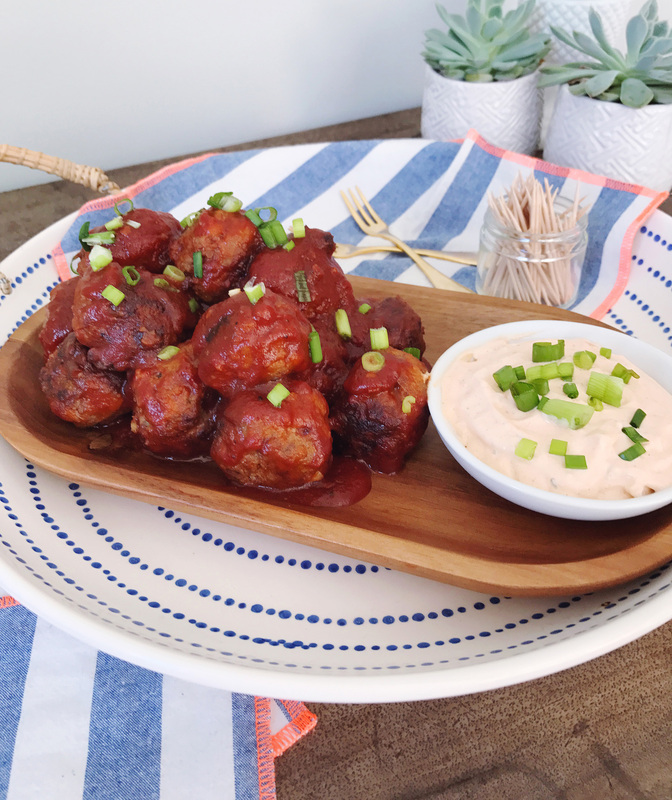 3 Responses to "A Spicy Sriracha Meatball Appetizer." I have a serious addiction to Heluva Good onion dip. I can’t keep it in the house or it disappears!